Last week we shared Zimbra’s top Tech Center articles, blog posts, youtube videos and Zimlets from 2017. 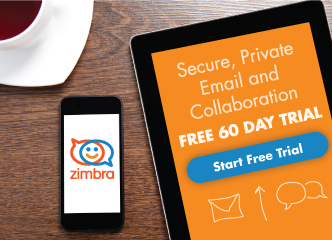 This week, we celebrate Zimbra’s top downloaded .pdf resources, Success Stories, whitepapers and Zimbra Around the World events! Many thanks to all of you … our partners, customers and employees … for your contributions and support in 2017! Grab a comfortable place to sit and something to sip while you enjoy this look back on 2017. 8th Annual Zimbra Forum France: In the heart of Paris, this afternoon was filled with presentations and information from our sponsors and technological partners.Watch the 4-minute recap video here. Zimbra APXJ Partner Summit: This year, the Zimbra APxJ Partner Summit was in Anantara Siam, Bangkok, Thailand. The one and half day event was packed with presentations and sharing sessions, with over 100 attendees from across the APxJ region. Here is a fabulous, 3-minute recap video. Americas Partners Day “virtual” Event: This was our first virtual Partners Day, and it was a huge success. Watch the Business Presentation & Demo or the Technical Presentation & Demo. Zimbra COMMIT: We have celebrated 3 COMMIT events in 2017, starting in New York City, then moving to San Francisco and finally in Japan! Red Hat Summit in Boston: Booth 122 was jumping with activity and expertise. Our Zimbra team was joined by Zextras and L. Mark Stone from Reliable Networks.